Citigroup health and wellness fair in Amherst, NY. 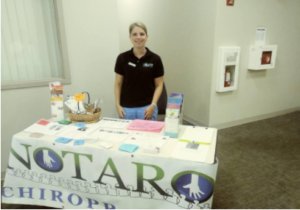 Notaro Chiropractic participated in this event. 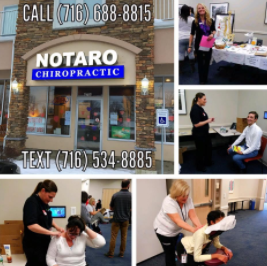 Dr. Lafave offered complementary Graston Chiropractic treatments, and massage therapist Alana Lentini offered complementary 5 minute massage treatments to the employees of Citigroup! 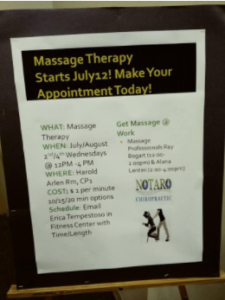 Notaro Chiropractic goes to Citigroup offering onsite massage therapy! We will be there every 2nd & 4th Wednesday of the month offering massage services from Hannah Albrecht and Alana Lentini for their employees!